We would like to extend our condolences to the family of Trust fundraiser Arnold ‘Arnie’ Sanderson. For almost 15 years Arnie fundraised tirelessly on behalf of the Trust. In his time doing so he raised over £50,000: an incredible sum and one which made and continues to make a huge difference to the lives of Gurkha veterans and their widows in the hills of Nepal. 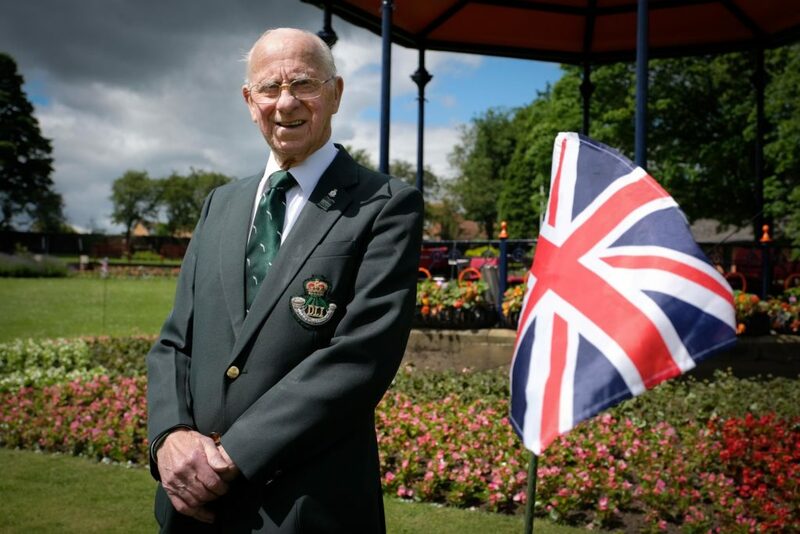 Arnold grew up in Spennymoor before being called up for National Service in the Royal Electrical and Mechanical Engineers (REME). He saw active service in Egypt and it was there that Arnold became one of the few conscripted soldiers to be promoted to the rank of Sergeant. A prominent figure in the Freemasons, Arnold returned to civilian life after his Service and began his own business as a building contractor in 1961, which he ran successfully for the next thirty years. 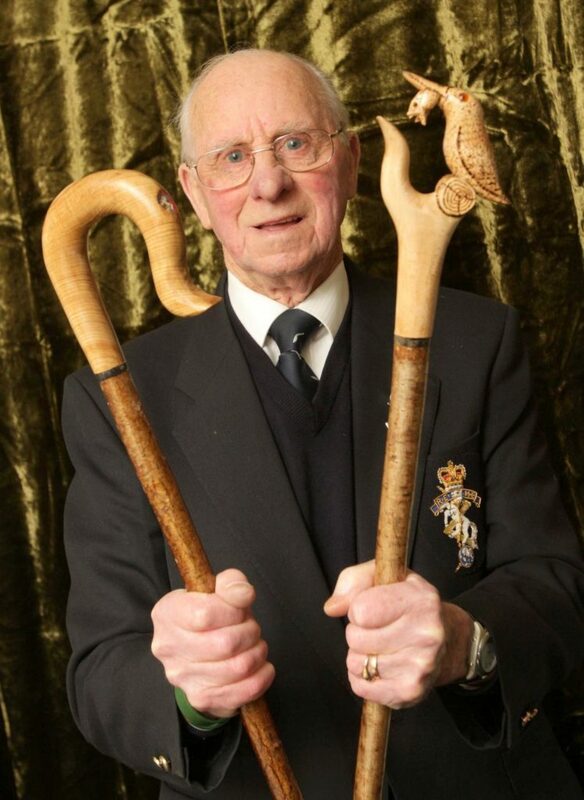 In his spare time, Arnold took up making walking sticks in his shed. A hobby he excelled at, with some of his unique designs ending up in various locations around the world. In 2006, Arnold was asked by his good friend, Sergeant Major Jai Dura Gurung, to help collect funds to rebuild a school in Nepal. With Arnold’s help raising funds for the school, it was completed within three years. In 2010 he was asked by the Colonel of the REME at Catterick to manufacture a few sticks with the Corps badge inlaid into the handle for them to use in presentations. One was presented to Prince Philip, Colonel in Chief, REME, and in 2015 Colonel James Robinson of the Brigade of Gurkhas asked Arnold to manufacture a stick inlaid with the badge of the Royal Gurkha Rifles, which was presented by them to Prince Charles as their Colonel in Chief, on his birthday. Through a combination of local collections around the Spennymoor area and sales of his walking sticks, Arnold’s dedicated and enthusiastic support for the people of Nepal continued, and as recently as last year he was raising vital funds for The Gurkha Welfare Trust. Arnold often had Gurkhas accompanying him on collections and formed firm friendships with many soldiers. 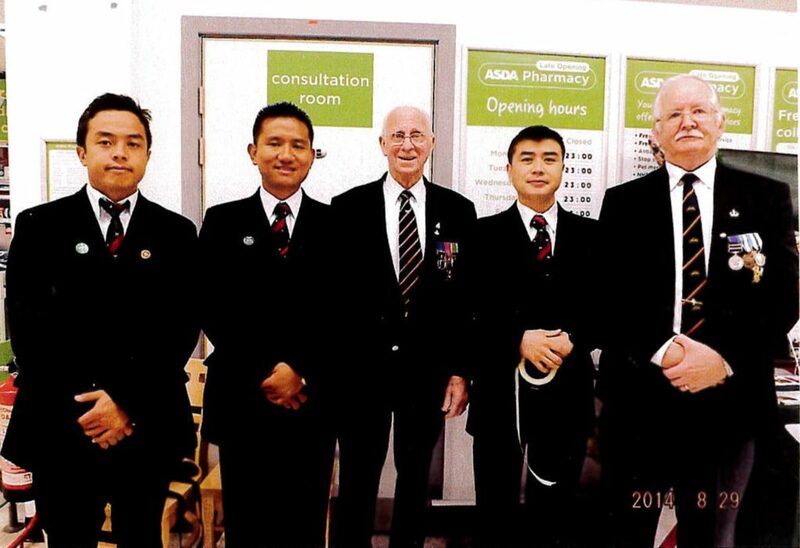 In return for Mr Sanderson’s support, Gurkha soldiers had previously joined the Remembrance service at Spennymoor, of which he was parade marshal.